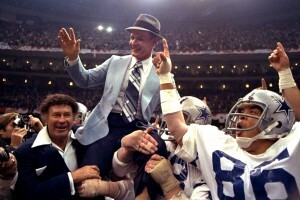 The Dallas Cowboys had always been coached by one man: Tom Landry. Landry is a legend in football, thanks to pioneering the “4-3” defense, which is still used today. 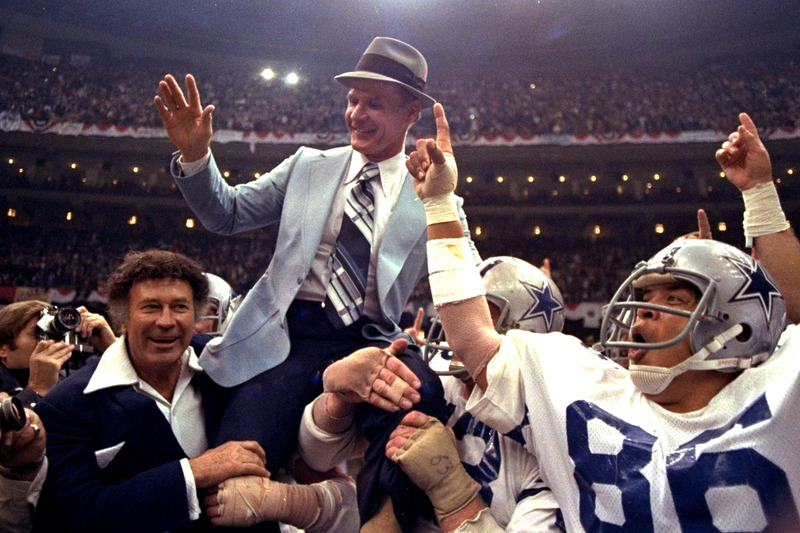 He ascended to coach the Cowboys in 1960, a job he would hold for 29 seasons. Though he got off to a rough start, he needed time to refine his defense. The NFL’s most formidable squad at the time was the Green Bay Packers, coached by another legend named Vince Lombardi. Lombardi’s offense was fluid; his players found pockets and went to them. They were not married to pre-defined routes. Eventually, Landry’s fluid defense paid off and the coach himself was 2-3 for Super Bowls. When Jerry Jones took over ownership of the Cowboys in 1989, Landry’s glory days had faded. He was tossed out and replaced with Jimmy Johnson. He drafted amazing talent for the team, leading them to two back to back wins in 92 and 93. In their prime, Jones had the Cowboys utilizing one of the largest payrolls in NFL history.